It's time for another update on home sales in Golden Eagle Plantation in the 32312 zip code of Northeast Tallahassee. 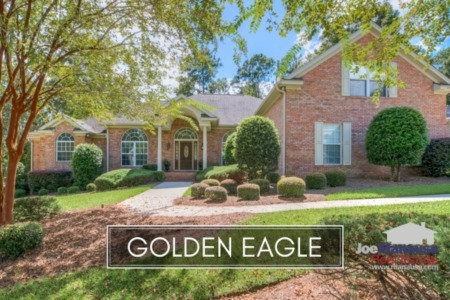 Located in Killearn Lakes and home to the Tom Fazio designed Golden Eagle golf course, this popular NE Tallahassee neighborhood has beat the market in holding home values thus far. Home sales are down well over 50% since the peak of the market, but you find that home sales in Golden Eagle Plantation have fared far better than most in terms of price and value. 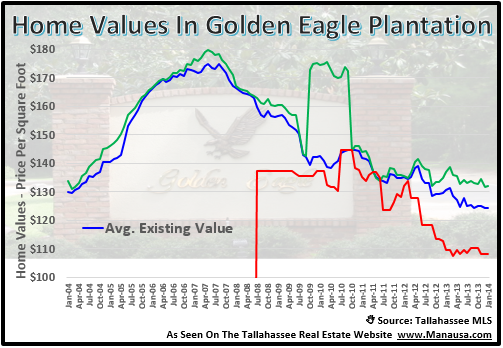 Home sales in Golden Eagle Plantation reached the pricing peak back in 2007, when the average home sold for $565,000 (2009 was higher due but due to one very large sale). 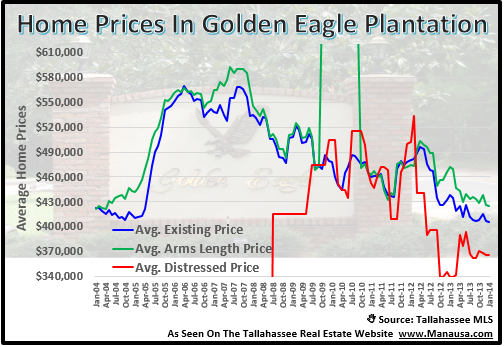 Thus far in 2012, the average price of home sales in Golden Eagle Plantation has been $450,000, which represents about a 20% decline. With the rest of the market well over 32%, this is good news for homeowners in Golden Eagle. Home values are down as well, but only down 24% since the peak of the market. 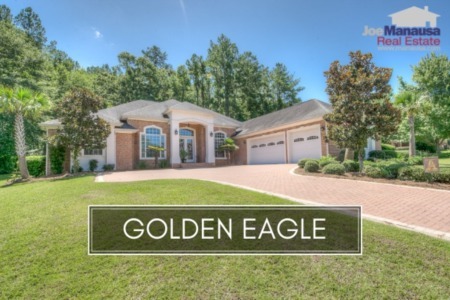 The average value of home sales in Golden Eagle Plantation in 2006 was $174 per square foot compared with $133 per square foot through May 2012. The real estate graph below shows that we have dropped another percent this year versus last year, and I would expect this margin to widen further before year's end. There are currently 60 homes for sale in Golden Eagle Plantation (nearly two years of supply) and we are starting to see asking prices drop. If you are thinking about selling a home in Golden Eagle, waiting could be very costly. If you want to analyze your situation and review smart courses of action, simply contact me today and we can schedule a time to discuss your specific needs. Thank you for checking out our most recent Tallahassee neighborhood report. Please check back again for more reports including updates on home sales in Golden Eagle Plantation.